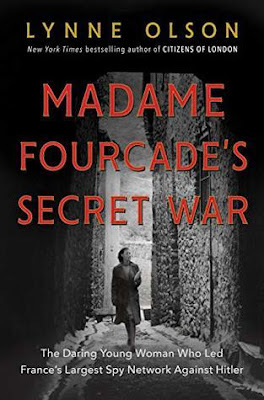 Veteran journalist and author Joseph C. Goulden offers a review in the Washington Times of Madame Fourcade's Secret War and A Woman of No Importance, two books that honor two women spies in WWII. In time of war, should women be shunted aside and the fighting left to men? Call it chivalry or sexual prejudice, but the notion of women on or near the battlefield was historically anathema to most societies. So consider the shock felt by French males early in World War II when they realized that two of the main leaders in their country’s resistance were females. Biographies that are exceptionally written and researched explore their respective careers. In the late 1930s, she met a former French army intelligence officer alarmed at Hitler’s rise to power. She joined him in publishing a journal which detailed German strength, including a smack-on accurate order of battle. Such became her entry into intelligence. 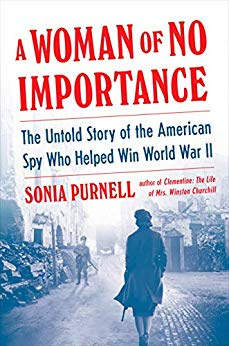 … Of equal importance, perhaps, was intelligence on a top-secret site where the Nazis were developing guided missiles to rain down on Britain, hoping to create war-ending public hysteria. An innocent-appearing female secretary at the site gleaned all that was needed to know. Bombing raids destroyed so much of the facility that its missile attacks (the so-called V-2s) were an ineffective nuisance. Marie-Madeleine did not hesitate to use her considerable charm when necessary; yet she was captured twice by Nazi security. In one instance, she surveyed the space between her cell bars, stripped naked and slithered to freedom.